Whether you’re looking to buy or sell, it’s hard to argue against the benefits of working with a real estate professional. Still, some choose to take the real estate road solo and attempt the “For Sale By Owner” route or think they can handle the buying process on their own with the help of their good friend, Google. And while it is true that there is a plethora of useful information on the internet, nothing comes close to the expertise and experience level of a qualified agent. A real estate agent can provide you with a healthy dose of both optimism and realism. Your goal is to sell you rhouse with the least amount of time and stress (and for the most money). Selling agents can help provide you with current information on property values, recent market conditions, and comparative sales in your area. They can also help out with tips about deal with inspections, repairs, and the presentation of your home. This is going to arm you with the most amount of knowledge so that you have a much better chance of selling your home at the best price in the shortest amount of time—and with the least amount of stress. Today’s world of technology is full of marketing opportunities, but it can sometimes be hard to navigate what’s best. An agent can list your home on the local Multiple Listing Service (MLS) and also provide other agencies with access to your listing. They can offer an extensive marketing campaign comprised of direct mail, advertising, networking, and online publishing. Agents are familiar with techniques to use to make sure you get the most bang for your marketing buck. Here is something that many sellers don’t think about: many first-time homebuyers feel more comfortable working with real estate agents. If a buyer finds out you aren’t using this real estate professional, they may not take you seriously. This means you could be eliminating this group of potential buyers just by leaving the agent out of the picture. A listing agent can convey concerns to both parties of the transaction and act as a neutral messenger. An agent tends to be in a better position to negotiate without ruffling feathers. They are also knowledgeable on current financial and legal issues, which can come in handy during negotiations as well. That’s something you do not want to handle alone! No one likes paperwork, right? When you have an agent working with you, you avoid the time commitment of handling a lot of that dreadful, yet necessary, paperwork. 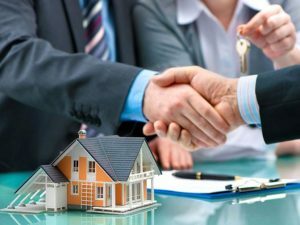 Agents have full understanding of that stuffy contract verbiage and can write your offers; they can also submit forms to attorneys, other agents, and brokers. Phew. We should first note that buyers agents do a lot of the same things for you as a sellers agent would. All five of the reasons outlined above can go for a buying and selling agent. Here are a few specific to when you’re looking to buy. It doesn’t matter how many shows on HGTV you watch, you can’t compare your eye to that of a buyers agent. A successful buyers agent is there in person looking at dozens of houses each and every week. They know what to look for when viewing houses. An experienced buyers agent will also be able to identify potential problems, like structural or pest issues, relatively easily. This could save you a lot of headaches and a lot of dollar signs. Even if you’ve lived in the same city for years, there are unique characteristics to different neighborhoods that buyers agents really understand. Real estate markets can truly differ from area to area and it can be difficult to navigate. Think of your buyers agent as sort of a matchmaker for you and your perfect area. They also are armed with the knowledge of what the houses will go for in that perfect area. Working with an agent can save you thousands of dollars when it comes time to make an offer by making sure it is inline with local house values. Real estate agents take the spam out of the property showings you look to set up. If you’re looking to buy new, the agent can keep the builder’s agents at bay, preventing them from nipping at your heels. They also can protect you from yourself. Buying a house is very emotional and can potentially get the best of a buyer. Agents are not emotionally attached to the property you may have your eye on, which frees them from any emotions preventing you from making a rash decision. For instance, you may fall in love with a home based on the fact that it reminds you of your childhood one, but perhaps the foundation is shot and the asking price is way off. Your agent can bring you back to earth. Ultimately a buyer is the final decision maker, but a buyers agent can help a buyer weigh the pros and cons. Real estate delays can sometimes seem inevitable. But they don’t always have to happen. A delay in a real estate transaction is frustrating to all parties involved. When you work with a buyers agent, you’re greatly improving the chances that your real estate transaction will stay on task. A buyers agent is responsible for making sure that contract dates, such as a written mortgage commitment, are being met. They can help avoid delays in appraisals being ordered or in an instrument survey being finalized. An organized buyers agent will have a system in place that ensures these interruptions are prevented. Let’s face it, figuring out how to finance a house can be downright daunting. A buyers agent can help you navigate world of finance options and help you decide which type of mortgage is best. They can also help you secure financing through a mortgage broker. An experienced agent may even help guide you towards mortgage companies in your area where they are familiar with any local rules or regulations. Are you buying or selling a house in the Greater Baltimore area? If so, you really should hire an agent for many reasons, 10 of which are discussed above. If you haven’t hired one of the best agents in Baltimore yet, contact me. We’d love to meet to discuss your individual circumstances.